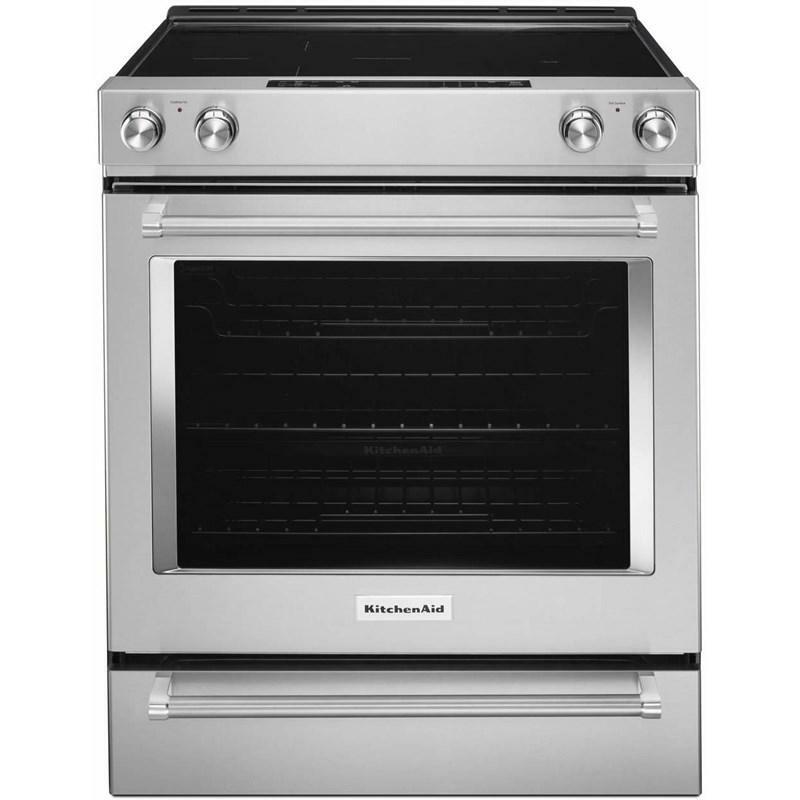 KitchenAid® 30" wide electric slide-in oven features 5 cooking elements, a warm zone and a front-control range. Its 6.4 cu. 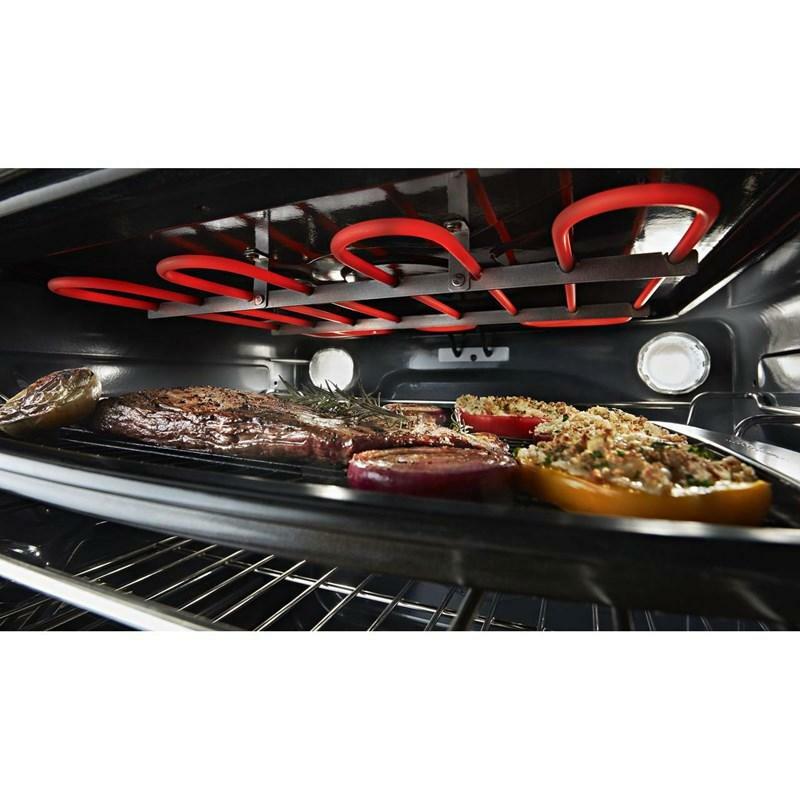 ft. capacity provides you with a storage drawer and a steam rack that offers the ability to provide additional moisture to the inside of the oven, enhancing cooking results. 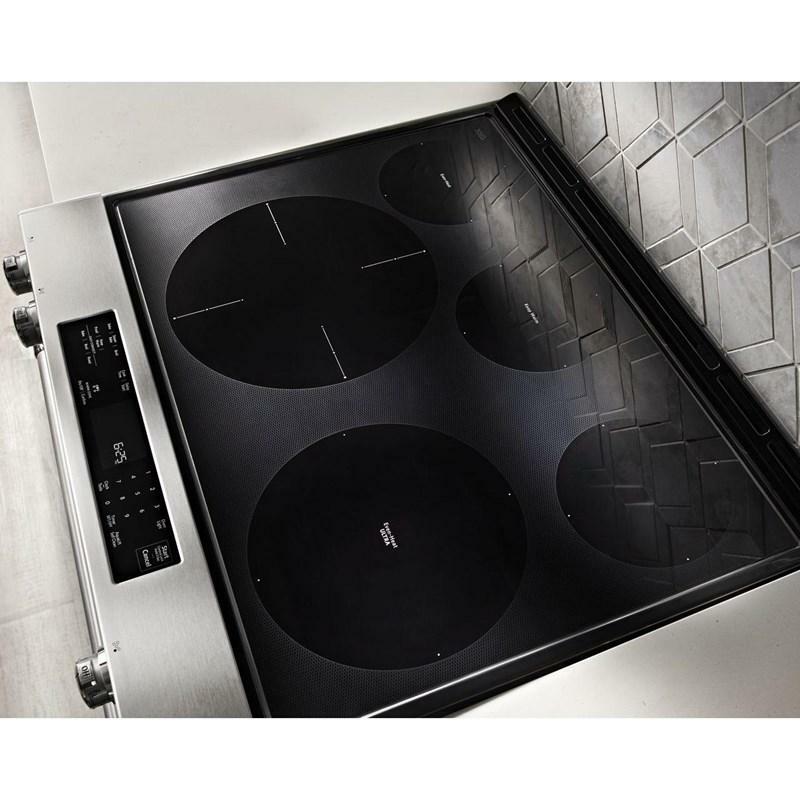 • 4000w Broil feature provides a variable temperature option, giving you complete control while you broil. • Right rear: 1200 watt.